Las Vegas’ famous neon lights turned red on World AIDS Day to show support in the fight against HIV/AIDS and honor those who have passed away. In a morning ceremony, Aid for AIDS of Nevada (AFAN) Executive Director Antioco Carrillo along with Clark County Commissioners Steve Sisolak and Chris Giunchigliani helped turn the lights on the world-famous “Welcome to Las Vegas” sign red while red ribbons were passed to the crowd before a moment of silence. At 8 p.m., several casinos and landmarks on the Strip, downtown and across the city displayed red lights or a World AIDS Day image on their marquees, including the High Roller, Caesars Palace, Keep Memory Alive Event Center, Station Casinos, The Stratosphere, Hard Rock Hotel & Casino, SLS Las Vegas, Las Vegas City Hall, Cosmopolitan Las Vegas and the Miracle Mile Shops. 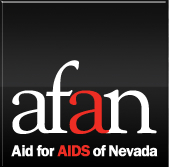 Aid for AIDS of Nevada (AFAN) was founded in 1984 and is the oldest and largest AIDS service organization in the state of Nevada. This year marks AFAN’s 30th anniversary of unyielding commitment to the community, providing support and advocacy for adults and children living with and affected by HIV/AIDS in southern Nevada. AFAN offers consistent and comprehensive direct client service programs, including medical case management, housing and utility assistance, emergency food and transportation vouchers, prevention and education programs and community outreach. As part of AFAN’s mission, these client service programs assist in enhancing the physical health and psychosocial wellness of the individuals they serve, while promoting dignity and improving the quality of their lives. For more information, please visit afanlv.org.